When it comes to the Apple news cycle, nothing flip flops more than the prospect of which company has landed the work order for the manufacturing the company’s next generation Ax processors. 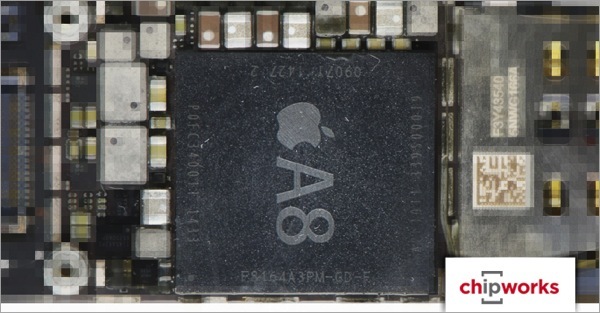 While Apple had hoped to rely more heavily on Taiwan Semiconductor Manufacturing Co. to fabricate the Ax family of processors used in its iOS devices, the company has turned to Samsung for its next-generation A9 chip, according to people with knowledge of the situation. That’s because Samsung holds a technological edge over TSMC when it comes to the latest manufacturing process. Samsung has managed to shrink the size of the transistors on its chips to 14 nanometers — effectively packing more processing power into a smaller space and consuming less power. TSMC is still at 20 nanometers. Apple’s business relationship with Samsung changed when the latter was sued over allegedly copying iPhone and iPad designs. Apple is still owed $1 billion from Samsung over two related patent cases.